The best way to ensure public safety when it comes to the marijuana industry is to bring it out of the shadows. Marijuana does lead to crime, and Washington’s licensed cannabis growers and retailers who are forced to operate on a cash-only basis due to outdated, repressive federal laws are the victims. It’s time for the federal government to allow marijuana businesses to operate like any other lawful business. U.S. Rep. Denny Heck of Washington’s 10th District told his congressional colleagues at a hearing last month that our state has suffered dozens of armed robberies involving cash-only marijuana operations. He again is co-sponsoring the SAFE Banking Act to allow financial institutions to serve marijuana businesses without fear of federal prosecution. 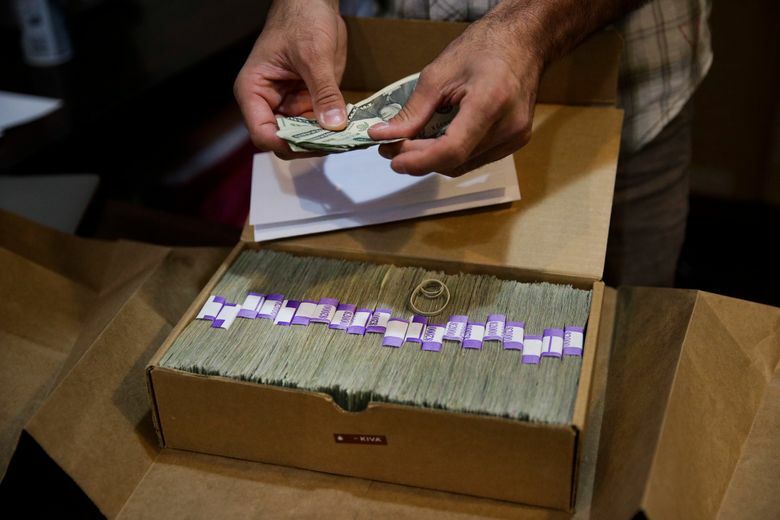 There is growing bipartisan movement in Congress to enable marijuana businesses to have the same financial capabilities as any other legal business, including writing checks, handling electronic payments, and accepting debit or credit cards. Most Americans live in states that have legalized marijuana in some way, from limited use of medical marijuana to recreational use by adults. However, the federal government still classifies marijuana not only as illegal but as one of the nation’s most dangerous illicit drugs. That,puts banks and other businesses at risk of federal penalties if their customers include marijuana-related operations. That creates a public-safety risk for the more than 500 licensed marijuana retailers and 1,000 licensed growers in Washington state, according to Greg Deckard, president and CEO of State Bank Northwest in Spokane. On behalf of the Independent Community Bankers of America, he testified in support of the SAFE Banking Act during the U.S. House subcommittee hearing in February. Because of the legal uncertainty, Deckard’s bank does not accept cannabis customers. Bankers fear the federal government could crack down on them even for having clients — such as a landlord, lawyer, plumber or printer — who have business relationships with a marijuana company. The best way to ensure public safety when it comes to the marijuana industry is to bring it out of the shadows. Banking is fundamental to running a business. Congress should recognize reality and pass the SAFE Banking Act.